Live casino combines the best features of real-life casino and online experience. Live dealer games are streamed from land-based casinos, where live dealers are dealing real cards and launching real balls. The advantage is that you can play these games from the comfort of your home or somewhere on the go. 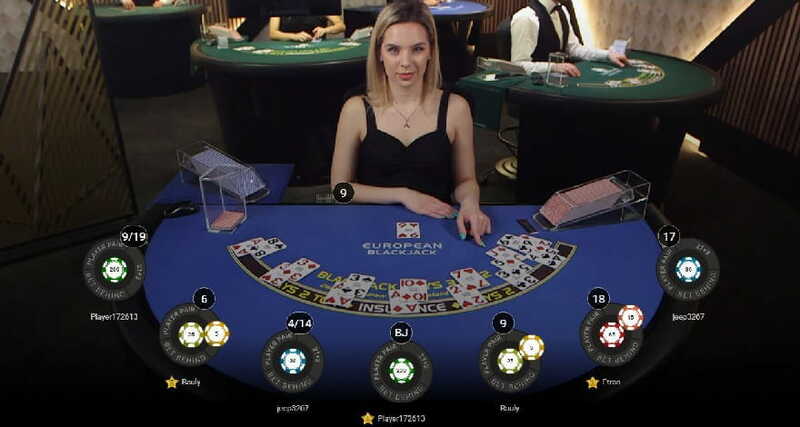 Thanks to the excellent HD quality, the many customisable options and the opportunity to chat in real time with the dealer and the other players, you will experience the same thrill as playing in a real land-based casino. In addition, most online casinos offer a great variety of live dealer games. Some of the most popular live games among players are live roulette, live blackjack and live baccarat, but there are also Dragon Tiger, poker, money wheel, etc. Live Roulette is one of the most popular games in online casinos. It is played with a real dealer and a real roulette wheel. The rules are very simple. You can choose to place bets on either a single number, groupings of numbers, the colours red or black, whether the number is odd or even, or if the numbers are high. The dealer spins the wheel in one direction, then spins the ball in the opposite direction and when the ball loses momentum it falls into one of the 37 or 38 coloured and numbered pockets on the wheel, thus determining the winning number and colour. The main types of roulette are European, French and American, which inspired the creation of many other roulette games. Also, you can find slight differences in the same roulette game provided by different software developers. Some of the best-known live casino providers are Evolution Gaming, Playtech, NetEnt and Microgaming. A great advantage of online live casino in comparison to land-based casino is that you have a more concise betting interface that makes it easier for you to place special bets, view various outcome history charts, check your bet history, or play at several tables simultaneously. Live Blackjack is one of the most preferred casino games as it involves a combination of skill and strategy. The goal in blackjack, also known as 21, is to successfully come closer than the dealer does to a total score of 21. When playing Live Blackjack, you are dealt physical cards by a real dealer. The deal is from 6 or 8 deck shoe tables. 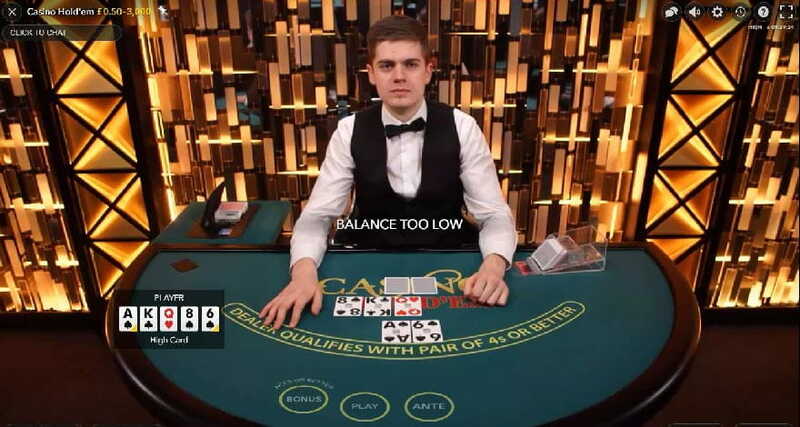 Most of the major live casino platforms use manual shoe shuffle in full view of the camera, while some use shuffle machines. There are many variants of Live Blackjack. For all of them Blackjack pays 3:2, but there are many rules in which the various games differ such as the number of decks used, whether the dealer stands on all 17s, or whether players can hit split Aces, for example. Moreover, some blackjack tables offer a number of side bets, which you can place in addition to the main bet. The most common blackjack table in online casinos has 7 seats. You take one seat and play together with other seated players. When the table is full, you have to wait for a seat to become free, or you have the option to bet behind one of the seated players. There are also private or exclusive blackjack tables that are accessible by players at a single casino. The advantage of VIP tables is that there are more seats available even during busy times. Live Baccarat is a simple card game that requires little strategy. Known as the high rollers’ game, baccarat is played between two hands, the ‘player’ and the ‘banker’. The aim is to bet that one of two hands will get close to 9 – either the ‘bank’ or the ‘player’. You can also bet on a ‘tie’. The game’s three most popular variants are Punto Banco, Baccarat Chemin de Fer, and Baccarat Banque. The game is played by multiple players on the same table. Most of these tables offer standard returns: for banker – 0.95:1; for player – 1:1; and tie bets 8:1. Various tables can offer additional side bets and progressive jackpots, which make the game more exciting for players. Some tables offer a few variations, including No Commission and Super 6 Baccarat, among others, featuring a slightly different payout structure. The tables also feature different deal types such as speed deal, regular deal, dealer-controlled card squeeze or player-controlled card squeeze. Poker is a card game combining gambling, strategy and skill. All poker variants involve betting and determine the winner of each hand according to the combinations of players’ cards. In Live Poker, you are playing against the house, not against other players. There are several variants available in online casinos, including Casino Hold’em, Texas Hold’em and Caribbean Stud Poker. This is the most popular poker game in the world. You play against the dealer, with the aim to make the best five-card hand. The game begins with players placing a bet, or ‘ante’. There is also the option of making a bonus bet. Once the ‘antes’ and optional bonus bets are placed, the dealer deals two face up cards to the player’s hand and two face down cards to their own position. Three shared community cards are then dealt face up – the ‘flop’, to be used by all players in their final five-card hand. The dealer places a bet and players choose to ‘call’ or ‘fold’. If you ‘fold’, you lose your ‘ante’. If you ‘call’, the dealer will deal two more community cards. The best five-card poker hand wins. The game is very similar to Live Casino Hold’em. To begin, players place an ‘ante’ bet and a ‘blind’ bet, in addition to an optional bonus bet. Players are dealt two face up cards, while the dealer is dealt two face down cards. You have the option to ‘check’ or ‘raise’. If you ‘raise’, you lose any further opportunities to ‘raise’. The dealer deals the ‘flop’ then, and if you haven’t already raised you have the option to ‘check’ or ‘raise’ again. The ‘turn’ and ‘river’ are then dealt, and if you haven’t already raised, you are again asked to ‘check’ or ‘raise’. The dealer’s cards are then revealed. The aim is to beat the dealer, not the other seated players. Each player places an ‘ante’ bet and then 5 cards are dealt to the players and the dealer face down. The dealer turns over one of his cards, after which the players may look at their cards. You then must decide whether to ‘fold’ or ‘call’. Any player deciding to ‘call’, must place their ‘raise’, an additional bet equal to twice the amount of the ‘ante’. Those who decide to ‘fold’, lose their ‘ante’. The dealer then reveals the players’ 4 face down cards, and they see whether they beat the dealer’s hand. Live Dragon Tiger is a very simple casino game, which is often described as a two-card version of baccarat. You have the option to bet Dragon, Tiger or Tie. The dealer then deals a single card to the Dragon position, and a single card to the Tiger position, and players bet on which card will be the highest or whether the deal will result in a tie. Highest card wins, with the King being the highest card and Ace being the lowest one. Winning Dragon or Tiger bet pay even money, while the tie payouts differ in accordance with the provider – 11:1 at Evolution Gaming, 10:1 at Playtech, for example. There are various types of a money wheel game offered in online casinos. The most popular are Live Dream Catcher and Live Spin a Win by Evolution Gaming and Playtech, respectively. They both feature a giant spinning wheel and have a multiplier of 7x and 2x that gives you the opportunity for big wins. The most important difference is that Spin a Win offers some additional bets apart from the numbers. Players can bet on Odd, Even and Multiplier as well, which slightly increase the RTP of Spin a Win.